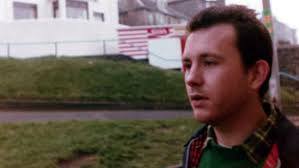 On this day, twenty-eight years ago, activist Mark Ashton died less than two weeks after being diagnosed with HIV AIDS. He was just 26 years old. Mark was a tireless gay rights campaigner, but also supported rights for all who weren’t getting them. “What’s the point of fighting for gay rights if you aren’t fighting for worker’s rights? What’s the point fighting for worker’s rights if you aren’t fighting for women’s rights?” was his way of seeing things. His determination, inventiveness, optimism and often sheer cheek changed the lives of hundreds of Welsh mining families. 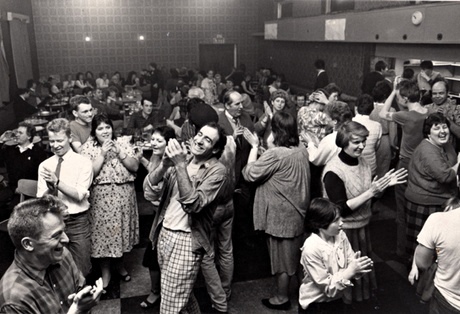 During the 1984-85 miner’s strike, Mark and a group of other activists, under the banner of Lesbians and Gays Support the Miners (LGSM) raised money for the village of Onllwyn in the Dulais Valley, South Wales. The events of their time there are portrayed in the 2014 BAFTA-winning movie ‘Pride’. The group also helped neighbouring villages during this time. The miners of South Wales never forgot the friendship and support they got from this rag-tag group of gay activists from London. In return, thousands of Welsh miners and their families led the London Gay Pride March in 1985 and block voting from the NUM at the Labour Party Conference in Brighton that year led to the introduction of LGBT equality rights into the Party manifesto. ← The Lego Advert… I mean Movie.